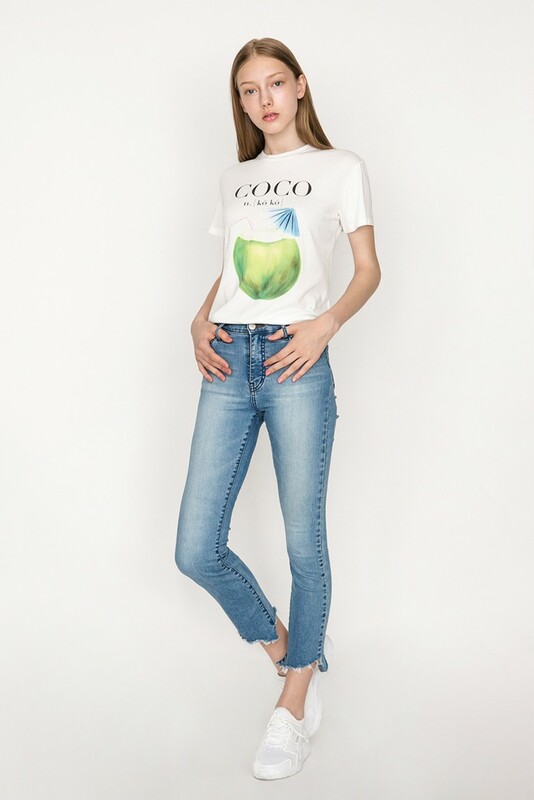 Have you noticed that there are more and more slogan tees recently? They are all the rage since last year. But do you know about the history of slogan tee? It began in the 1960s, in a shop called Mr Freedom on the King's Road in Chelsea. After a decade, Vivienne Westwood took the trend a step further with politically motivated T-shirts. But it was in the 1980s that the slogan tee really became popular. I like the items that can present my statements. With a slogan tee, I don’t need to “say” it, people can easily get what I mean. We also designed some interesting items with slogan for JENDES. Let’s share the stories behind the designs! 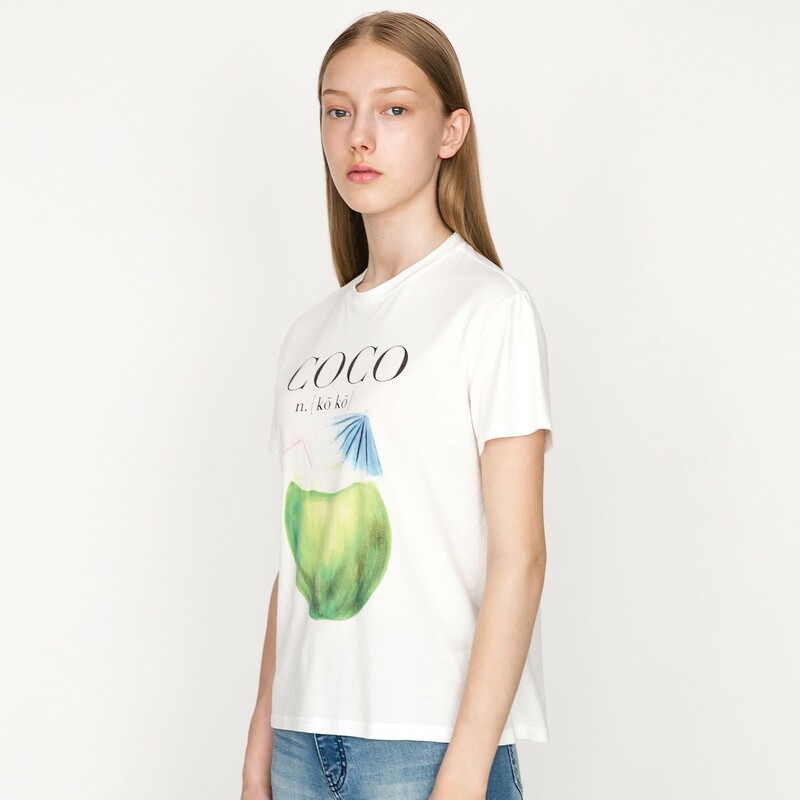 Don’t you think this T-shirt is super cute! 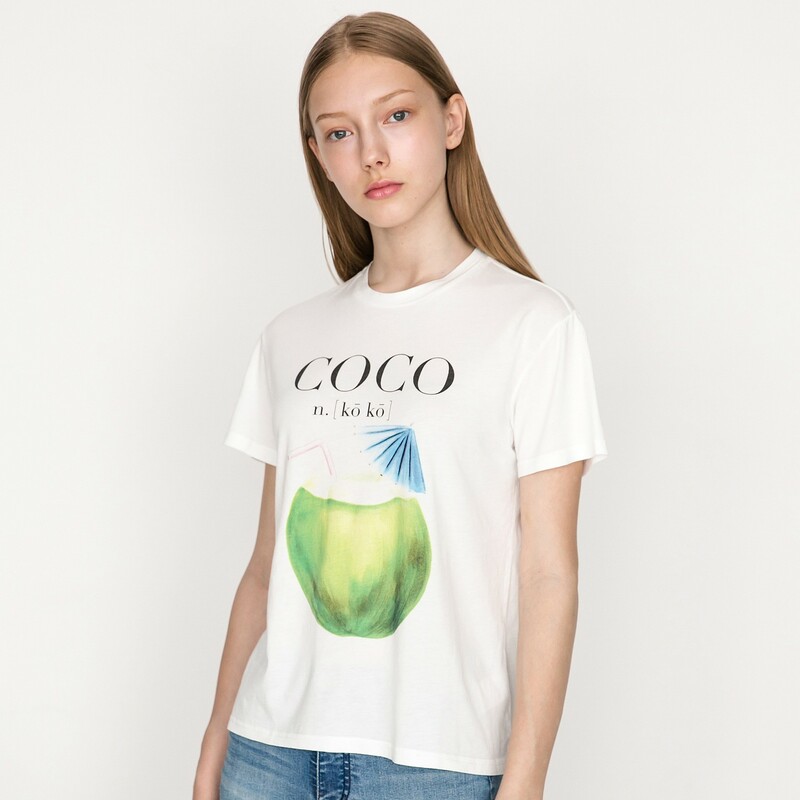 The text of COCO and the image of coconut keep the heat of summer away, and make me wanna have a glass of coconut water. The inspiration behind comes from Hathaway. When I teach her some English words, sometimes I cut the words into 2 parts, to make it easier to pronounce and remember. For example, I would cut the word “Jellyfish “ into “Jelly” and “Fish.” The design of this series is not only adorable, it also contains the mood as a mom. What kind of mood are you in for a Monday morning? I wonder if you are just like me, wanna put my head under the ground, and escape from blue Monday. 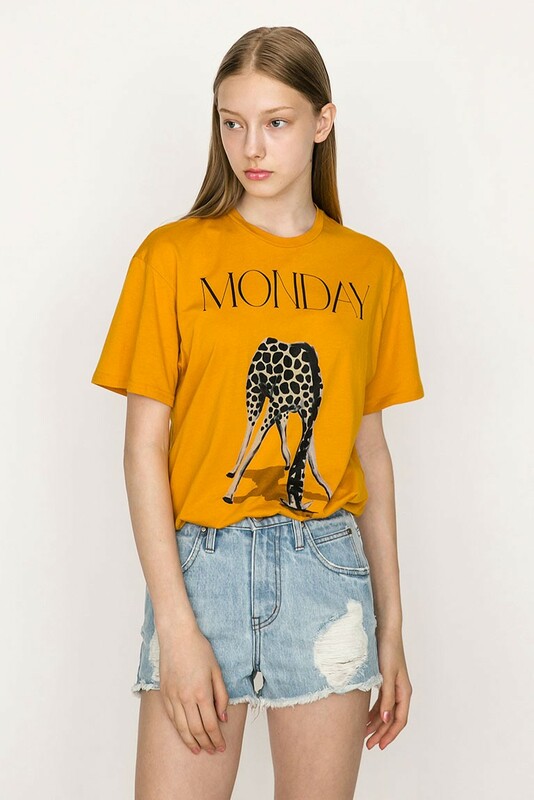 I hope the interesting design of this T-shirt can give you some strength to fight the Monday blue, and get ready for the upcoming challenges. By the way, the photo was taken in Melrose Avenue in LA. 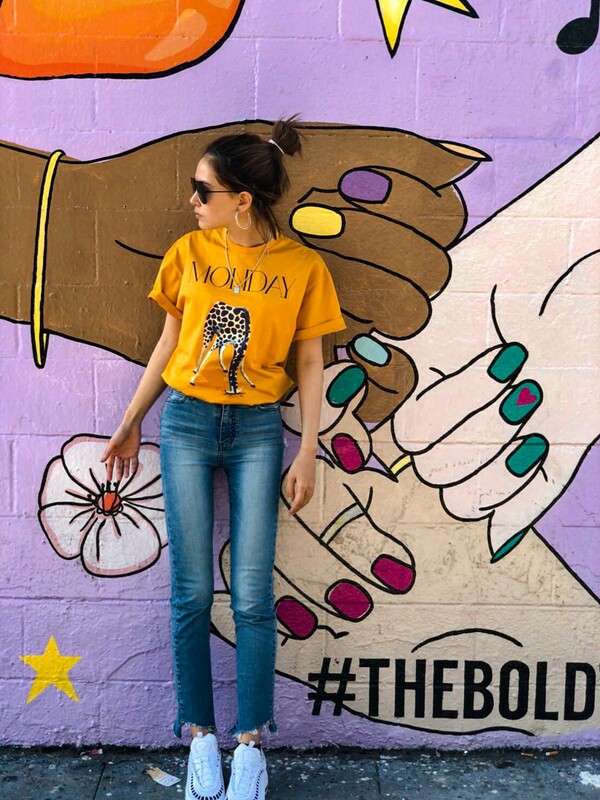 The colorful graffiti on the wall is so beautiful! 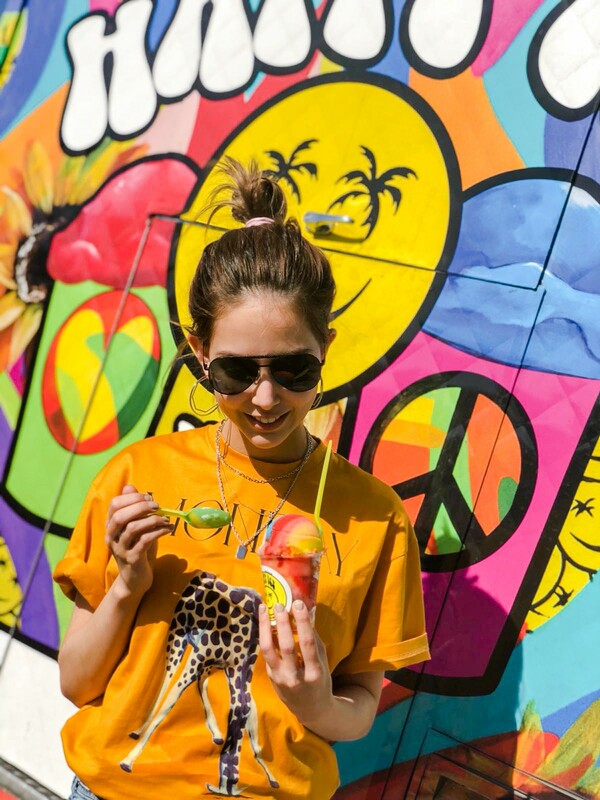 I believe when the giraffe on the T-shirt sees the scene, it would be energetic again! 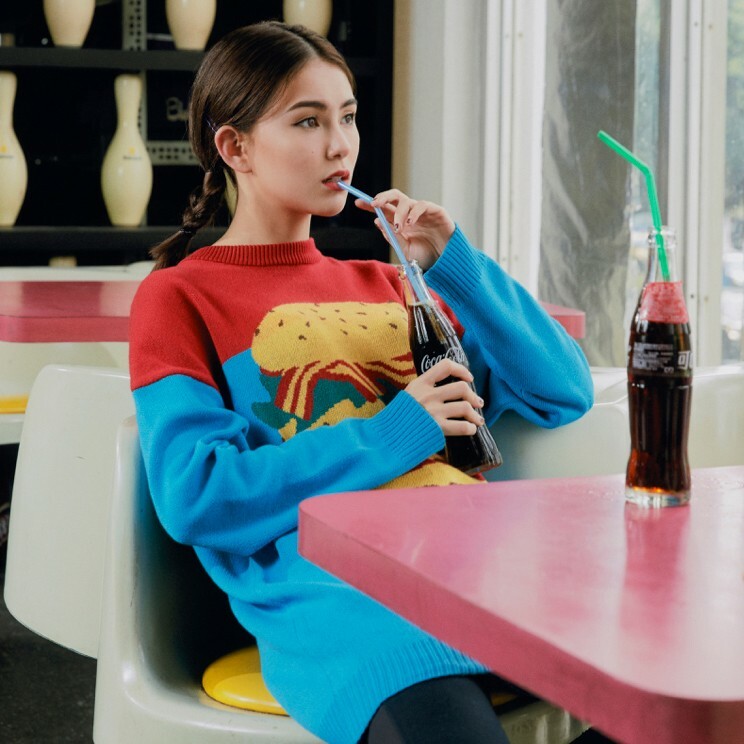 Instead of slogan tees, JENDES designed a slogan knit top, so that you can dress with your own style in any seasons. 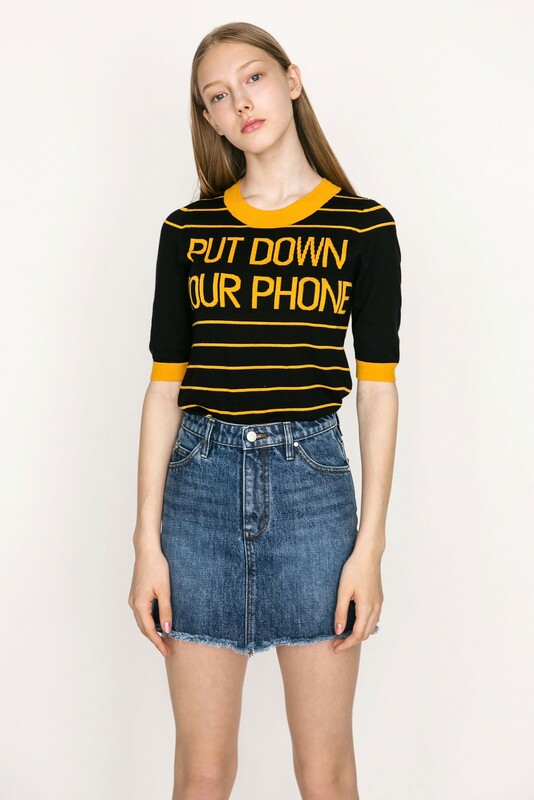 We came up with the idea of saying “PUT DOWN YOUR PHONE” to the people who always take photos of me. And it also fits the phenomenon of our society that some people are using their phones all the time. Let’s put down our phone and enjoy the moment with your family and friends. Top this knit top with a denim skirt, and you are ready to go! This dress featuring a front “FRAGILE” text and contrast color design. Doesn’t it make you think of the boxes which tapped with the fragile sign in the airport? I believe everyone has some moments that feeling weak and helpless, just like fragile goods. Put this dress on and have some comfort food with your friends when you feel this way. The design team and I decided to make the best products which can also warm up your heart. I hope you can feel our love when you dress JENDES apparels. 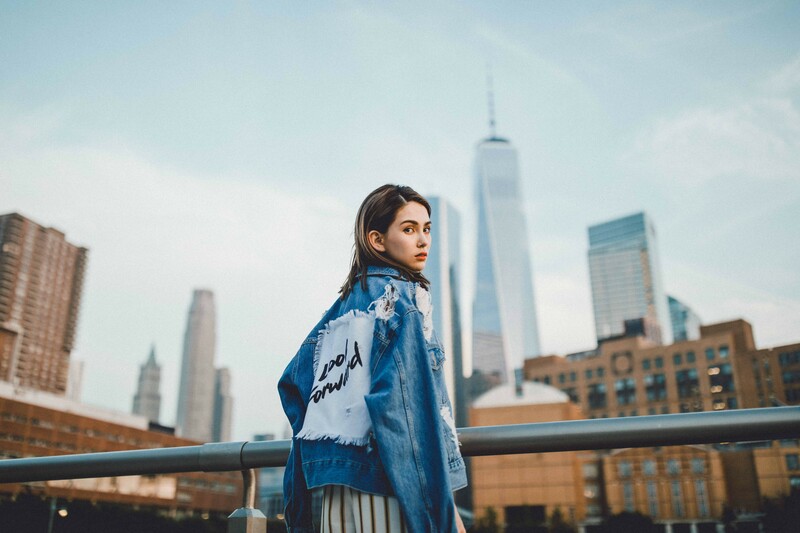 Denim jacket is never out of fashion! We put a piece of distressed cloth on the back printed with “Look forward.” The phrase look forward means not only looking at front, but also feeling happy and excited about something that is going to happen. I wish that you can live your everyday life like a curious child, and look forward to experiencing more! "That T-shirt gave me a voice. "said Katharine Hamnett. I think what we wear everyday make not only how we look, but also our statement. I hope the designs of JENDES can be close to your life and speak for you. Together with JENDES, I hope that everyone can dress up in their own charm and personality, and not allow anyone to define you.